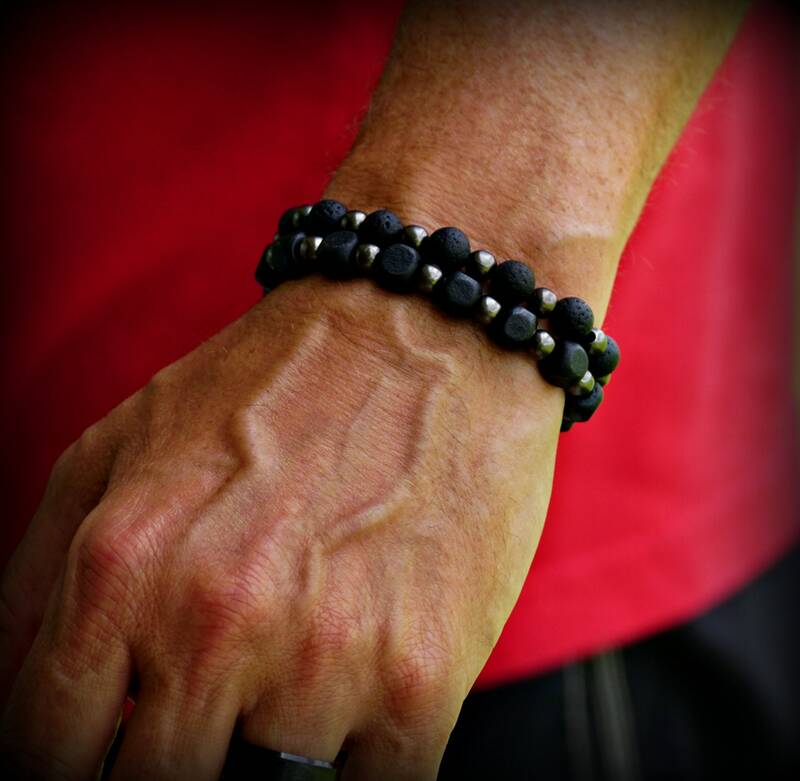 Made from premium lava rocks, wood, and steal beads by hand in house. This item can be purchased as a single bracelet or as a set. If ordering a single bracelet...the wooden option comes in square wood and round steel beads. 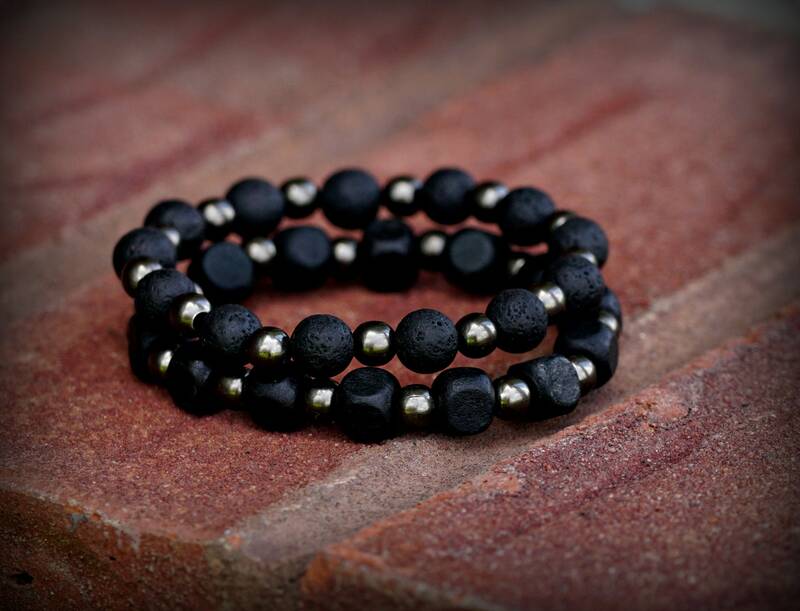 The lava rock version comes with round lava rocks and round steel beads. The double bracelet set comes with one of each version.